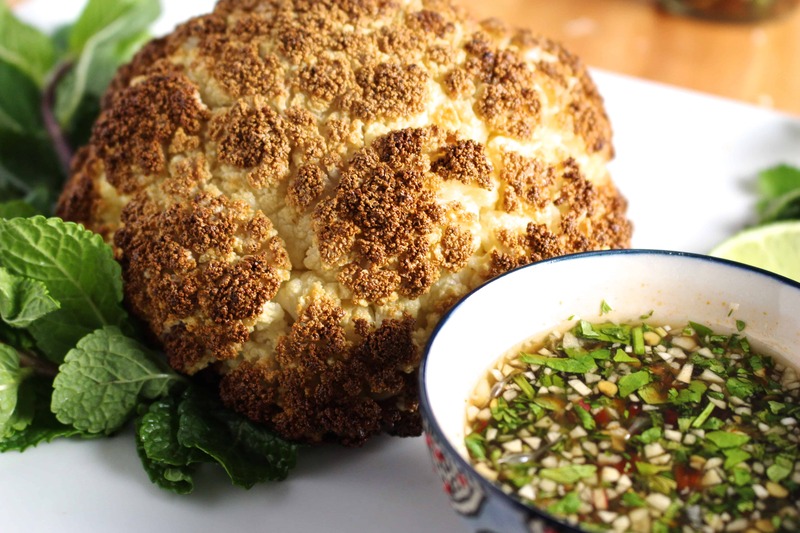 This Whole Roasted Cauliflower with Fish Sauce Vinaigrette is a flavorful vegetarian man dish. 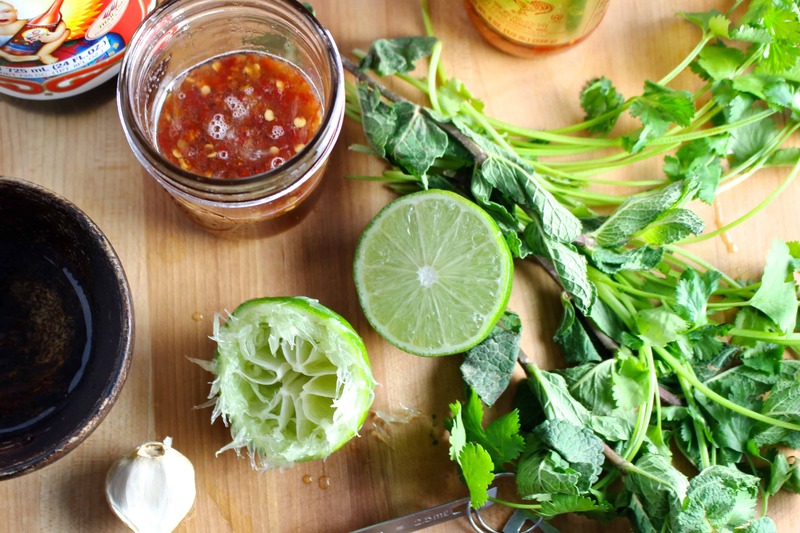 It’s served with a vibrant Southeast Asian inspired sauce and lots of fresh herbs. Well hello, there! Did you have a nice weekend? I hope it was full of bright pastels, candy eggs and butter lambs. I hope you got to see some extended family, smelled some daffodils and soaked up a little vitamin D. I also hope you already took care of your taxes. Because I didn’t, and I’ve been fighting back the urge to take this massive pile of receipts on my desk and set them all on fire. Strange how there seems to be a direct correlation between the size of my receipt pile and the size of my ice cream bowl this time of year. This week’s blog is bringing you a combination of two things I’ve been seriously crushing on the past few months: Whole Roasted Cauliflower and Momofuko Brussels Sprouts. Want to send your tastebuds to outer space? This recipe will take ’em there. 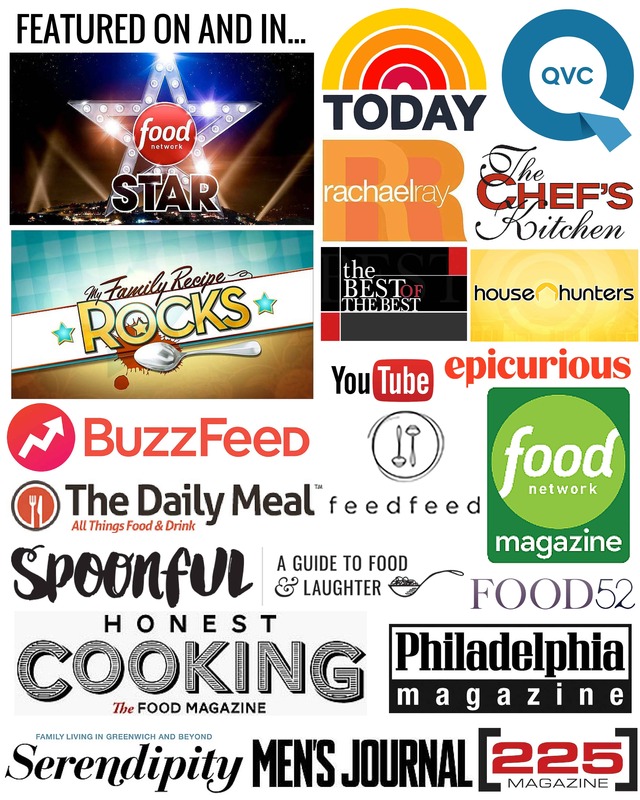 I’ve had my eye on both of these dishes for a while now, as they’ve been majorly trending in blogosphere. The Brussels Sprouts are a popular dish at Momofuko Ssäm Bar in NYC and completely took the internet by storm when the recipe was printed in the Momofuko cook book circa 2009. I’m not a girl to immediately jump on trends, so it took me up until February to finally give them a try. All I can say is what the heck was I waiting for? They. Are. FIRE! Which really comes as no surprise considering everything David Chang touches turns to gold. Last week I decided it was time I finally hopped on the Whole Roasted Cauliflower bandwagon, too. 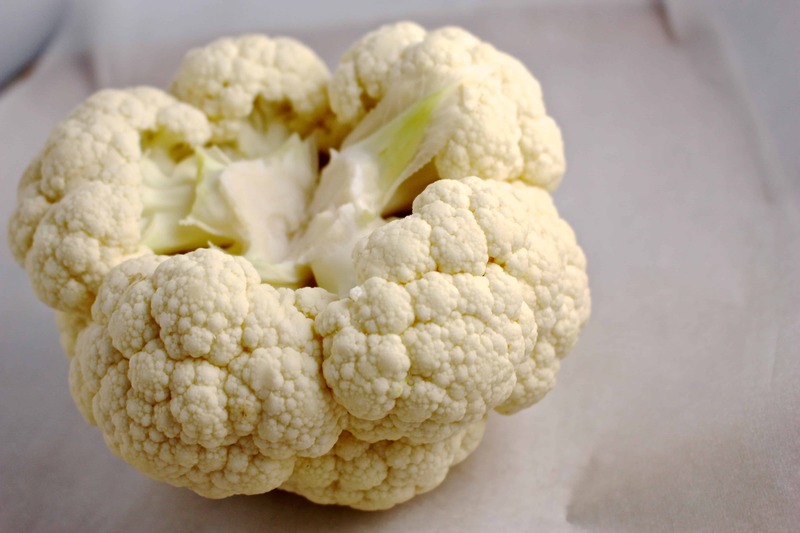 Growing up, I didn’t care much for cauliflower, even in my parent’s attempts to tell me it was actually called Coley Flower. To me, it looked like a cross between a a brain and albino broccoli and I wanted nothing to do with it. But like many other things, as I grew older I learned to love it. 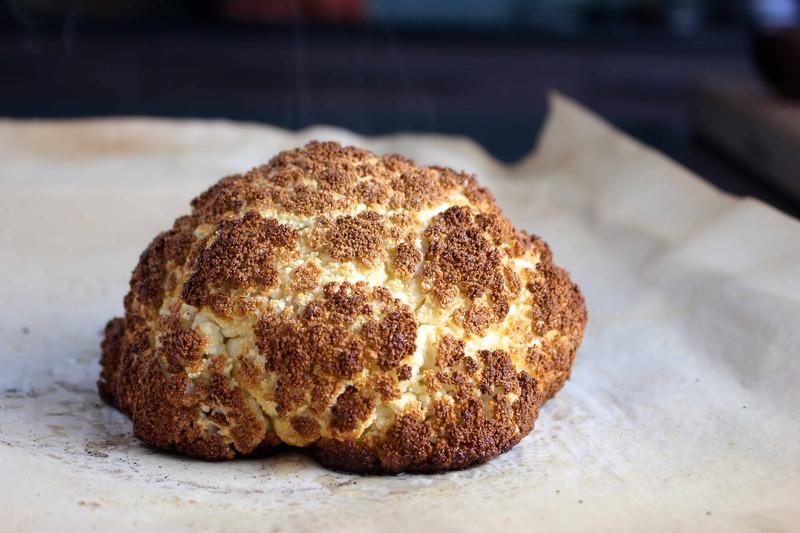 Roasting cauliflower whole allows the outside to get incredibly golden and crisp, while the inside cooks to the perfect state of doneness: tender, but still has a little bit of bite. The florets easily pull away and make the perfect vehicles for sopping up just about any kind of sauce, and I could rattle off a number of them that would work beautifully. But I couldn’t stop thinking about the sweet, salty, spicy, tangy, herbaceous Southeast Asian inspired vinaigrette that adorns the Momofuko Sprouts. And Eureka! By swapping out one crispy cruciferous veg for another, an entirely new dish was born. I love it when a plan works out. 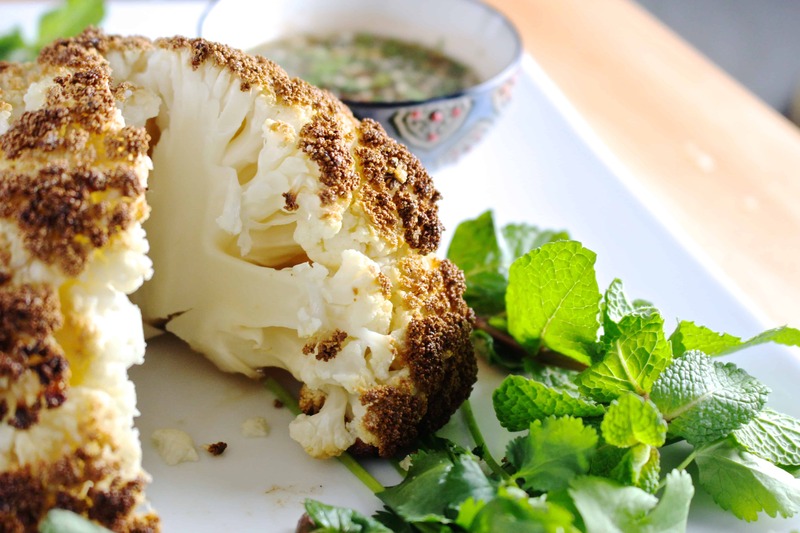 While this recipe is totally easy to make, it does require a bit of planning ahead, as the roasted cauliflower takes a good 90 minutes to cook. But that gives you just enough time to run out and try to find some fish sauce. If it’s not already in your pantry, I promise it’s a worthwhile investment. Here are a few other delicious things to do with it. With this recipe you can conquer two trends at once, and I have a feeling you’ll like them both vurrrry much. Plus, your dinner guests will think you’re super cool and might even suspect you to be a hipster. No harm in that, though, as long as there’s good food involved. That’s a rule to live by. Preheat the oven to 425 degrees. Pat the cauliflower very dry, then rub the outside with oil, being sure to thoroughly coat every nook and cranny. 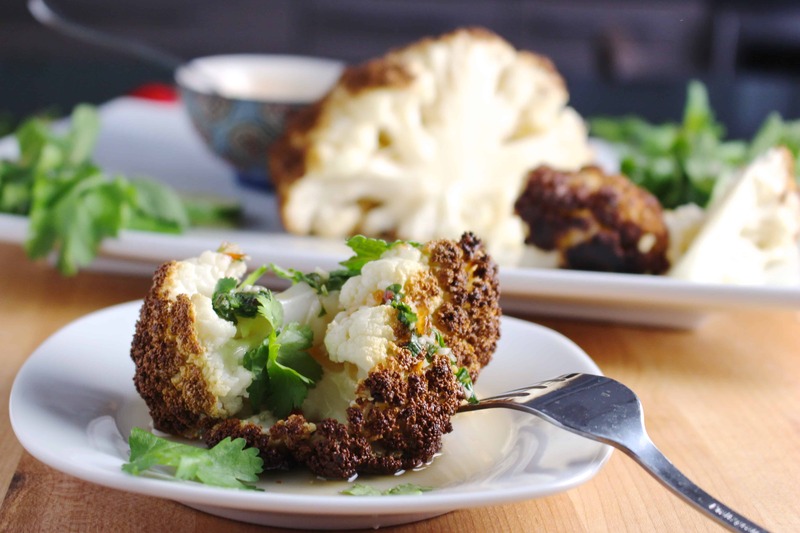 Place the cauliflower on a lined sheet pan and bake in the oven, basting occasionally, for about 90 minutes or until deep golden brown outside. 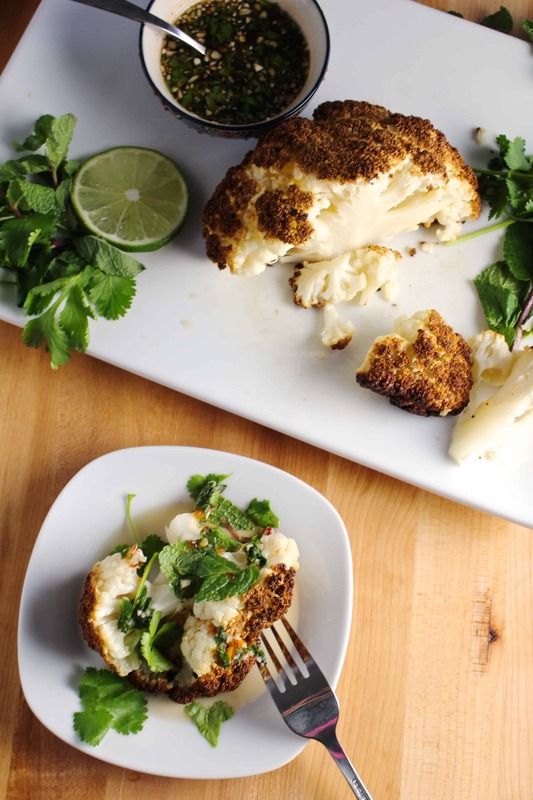 While the cauliflower is roasting, make the vinaigrette: Combine the fish sauce, water sugar, vinegar, lime juice, Sambal and garlic and whisk until sugar is dissolved. Stir in the mint and cilantro. 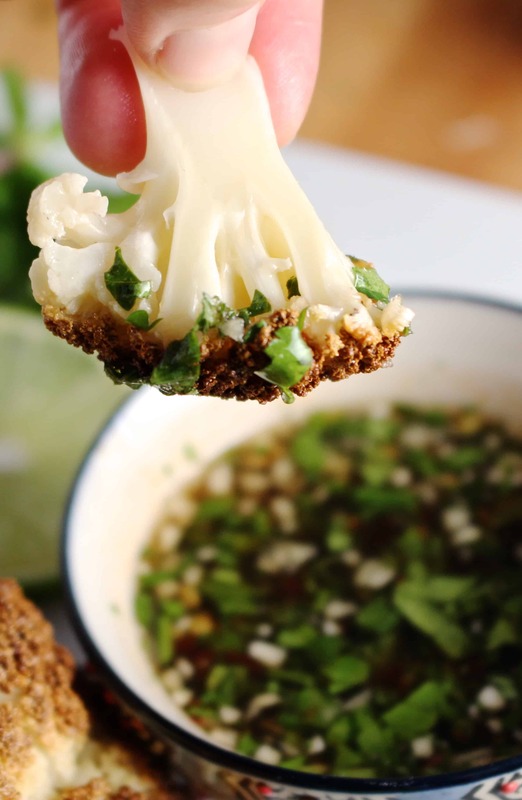 When the cauliflower is finished cooking, remove on to a serving plate and serve the sauce on the side so it stays crisp. Garnish with more mint and cilantro and serve. This fish sauce vinaigrette is good on just about anything. Make extra! I’m making this cauliflower recipe. Can’t wait. Making this tonight! Sounds sooo perfect!